Brace yourself. I’m about to say something that is quite unpopular. So here it goes – I’m not a huge fan of the herb. There, I said it. It’s definitely about the control freak in me, but that’s a tangential story. It’s not that I am morally against it – people can ingest, digest, and smoke whatever they want to. And yes, I do think it should be legalized. Not because it’s the best thing that’s happened to civilization, but because I don’t really want my tax dollars going towards locking up potheads or anyone else involved in making a living from the crop. But here’s the thing – in this age of medicinal marijuana, cannabis clubs, and boutique weed, it’s everywhere. And for us reggae music lovers, it always has been. I’ve been working in the reggae industry for 13+ years, and I’m tired of coming home from an indoor show smelling like the crud at the bottom of a pipe. I’m tired of the weed gas chamber that is my luggage upon my return trips from Jamaica, thanks to days spent in smoked-out cars. I’m tired of people bumping into me at shows because of their impaired sense of personal space. And I’m tired that weed’s presence seeps both blatantly and discreetly into all sorts of lyrics. If we as a society put as much energy as we put into the pot industry into curing HIV, I’m fairly sure we’d have a cure by now. And no, the fact that marijuana is a giant industry and there is lots of money to be made is not lost on me. “But, Laura, it’s a plant. It’s natural and grows from the earth.” Well, yes, it is. And I, of all people, am for natural, organic, and whole. But do we eat those mealy pyracantha berries that intoxicate birds? No, I think not. Do we eat poisonous mushrooms? Poison oak? Not on purpose. So is everything that comes from the ground clear for human consumption? I’d say no. But on the more serious side of addiction, people lose jobs, relationships, housing, children; they may go in and out of jail for related issues, and emotionally, people can become fraught with paranoia and often begin taking other drugs to mediate some of the weed’s effects. And the sign of addiction is that despite all of the negative consequences one encounters, people continue to partake – which is why M.A. (Marijuana Anonymous) exists. Okay, I can have all my judgments about the lifestyle, but here’s my real question: Is there a place for us non-smokers in the community? Will I ever get past the discomfort of passing up the pipe, joint, bong, or ganja cookie? Or get over the sheepishness of feeling “square,” or whatever the weed equivalent of “prude” is? I haven’t run the numbers or anything, but it feels like we sober ones are vastly outnumbered at reggae concerts and shows. When a fixture in the Reggae Rising press tent is the vaporizer, I have no doubt. Ever since there’s been reggae (and I realize it’s a short history compared to other musical genres), it’s been associated with ganja. 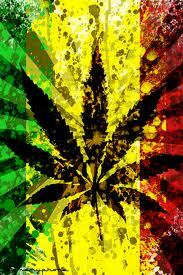 Reggae and weed, like Bonnie and Clyde. Batman and Robin. BFFs. Why? Because Bob Marley smoked? Because it’s a meditation lubricant? Because it used to be really taboo and Rastas pride themselves on living outside of the box? I’d really like some understanding around this. I know there have to be others like me out there. In fact, it’s as refreshing as a ginger beer on a hot, muggy day when I meet an artist that doesn’t smoke, or one that looks around a large festival crowd and is shocked and awed, as I am, by people’s drug-induced states of abandon. I’m not saying not to smoke or to put away your hula hoops, hackey sacks, and hemp accessories; but I am saying please make space for those of us who choose not to. Reggae music is one of my life’s greatest pleasures. I really would like the reggae, but please hold the weed. Because I’ve never been as immersed in the reggae culture as Laura is, I can’t say I’ve been overly bothered by the conditions she describes, but I certainly agree fully with her reasonings and conclusions. For me it’s just a matter of shrugging off the lyrics in praise of the herb, just as I do many of the other viewpoints expressed in reggae (and in rock, gospel, blues, C&W, etc.) Having been a fan of reggae for 40-odd years, I have no great concern that some folks may feel I’m being somehow untrue to the music by not being a “believer.” I know you don’t haffa be stoned, or be a Rasta, or meet anyone’s preconceptions in any other regard, to love the music. Ted makes good points, & I would care to say that as a kid back-back-BACK ‘in the day’, I knew about ‘reefer’ before I had ever heard reggae, or even KNEW there was an isle called Jamaica! All this current business is sort of johnny-come-lately to the story of marijuana in the United States. Let’s remember what we already know but perhaps have forgotten: People were burning it before any of us were born. Part of this is the Cali-culture of marijuana meeting what might be called the ‘ganja-chauvinism’ of a part of Jamaican society, i.e.’we have the best we invented this’, etc etc. So you have a perfect storm from the above giving us this bumptious advocacy of over-using this plant. (By the way, I’m fond of joking with Jamaicans about why is it they haven’t built that big BIG statue to honor the people who brought hemp to their island—not the Africans, but the Indian workers brought to JA!). I still don’t use the term ‘addiction’ with marijuana, ’cause I know what addiction to drugs REALLY and sadly looks like. We’re not talking about opiates or methamphetamine usage—it’s a whole ‘nuther situation…so please, save the term ‘addiction’ for where it best fits. Personally, I’d still rather be out in public around a crowd of people ingesting marijuana than alcohol—whatever you may say, the chance of obnoxious stupid behavior is greatly more likely around the latter. May the youth follow his example, and learn to be somebody! First thing. 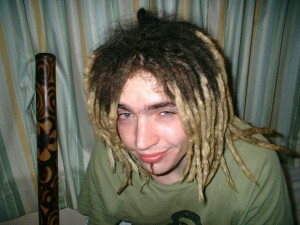 The kid with the funky dreads is not a product of weed, and calling him out for the way he looks is pretty weak. I agree that he may have made some strange choices, but take a step back and think a little before you throw that stone. Marijuana is not physically addictive. Maybe a bit on the mental side, but it is easier to put down than coffee or sugar. I find it amazing that you say you have been in the industry for 13+ years yet you have no idea how pot and reggae are connected. That whole paragraph where you get “serious” is just wrong. Do some research. Of all the people in the world I think that people with opinions like yours are the people that need to smoke some weed. I say this with no angst or meanness. If you have a medical condition or some other heath reason that keeps you from doing it, so be it. Otherwise you should really consider letting the wall down for a bit and smoke some weed just to understand what the other side is all about. You never know you might just like it and if you don’t at least when you opine on the demon weed you can at least say you tried it. I understand how pot and reggae are connected – I just don’t think they should be. You assume I don’t know what it’s like to smoke, which is a big assumption and lacking in facts on your part. Thanks for the discourse. -Ed. While most people don’t fall into this category, some do – http://youtu.be/YbbDdvlpBRg Maybe you’re the one that should do some research. -You misunderstood me – I am not calling pot “demon weed,” and I’m not telling people they can’t or shouldn’t smoke at shows! 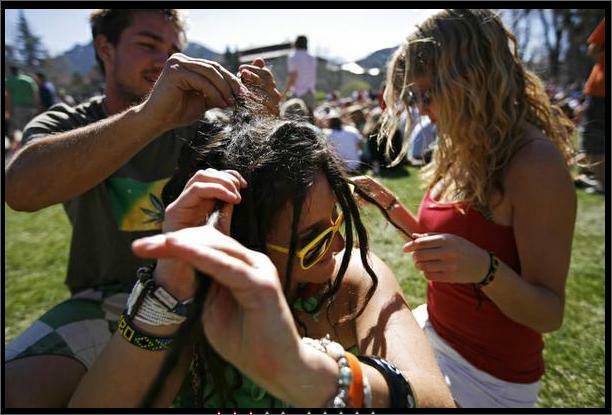 The point of the article was to address and question the implicit link between reggae and weed. I don’t have judgment about people’s personal choices – it’s just so uniform in the reggae world. -Assuming I have never smoked is akin to me assuming you’re a weed addict. Neither of us has any facts about the other apart from what we’ve written. I find it patronizing that you think that anyone who doesn’t like weed is just uptight and needs to smoke. -Anyway, if people in the reggae community value non-conformity, they will at least appreciate my point of view (even if they don’t agree with it). When you quit the drugs, when you embark upon much tougher journey of real self improvement, getting to know yourself, shape yourself and become a happy, wise and helpful human… Well, you start to see. And what you see is pretty ugly. It feels like you get out of the dirt pool, and as you sit by it and start to clean yourself, you get to watch the people still inside. It takes some time, it takes for you to really make a few steps on your own and really, on the inside, become an apprentice of awareness, improvement and truth, to really start seeing some things for what they really are. While you are a part of it, your perception is different. Do you remember how you became a part of the drug culture? It felt as you realized something, it felt as you found a new, exciting point of view. Well, getting out of it feels likewise, but is much slower process. You slowly re-realize what the drug culture really is. Now, seeing how I use a vocabulary consisting of vague words like awareness, truth and improvement, you might feel it kind of funny, when I say that drug culture is a sect. But it is. It is a cult that is almost or even religious. As you try to share your early concerns, fresh experiences in being clean, your point of view as a sober person witnessing their drugged behaviour… They respond. And well… it’s a sad view. Because at that point you realize how often you were told what you are telling, and how you reacted, in your opinion perfectly adequately. But you actually reacted like any druggie. Like the one that is right now replying to you. Well, the drug culture is either miraculously, spontaneously or otherwise somehow well organized. It is ready to defend it’s control over lives and minds of it’s serfs. It ain’t easy to get to them, but then think about it – was it easy to get to you? Who did it? For me, I had to get to myself myself. Laura Gardner is the Founder and Editor of JahWorks.org, the intelligent online magazine about Caribbean music, travel, and culture. She's been involved in radio programming, concert and festival production, artist publicity, and reggae and Caribbean journalism for many media outlets, including the national Beat Magazine and the German magazine Riddim. She loves to travel (especially to tropical places) and has been listening to reggae since about the time she could walk.